Blessings Family and Friends of Global Family Outreach Ministry! Welcome to our last report for the year! Wow! Another year gone? Yes it is and Global Family Outreach Ministry celebrated ten-years in the Lord’s service. A whole decade of seeing literally thousands of children and families fed not only physical food, but more importantly, the Word of God. Just amazing to us to see God and His people work-together to see such miracles, day-in and day out, and if you have given your love gift to Global Family Outreach Ministry for this glorious work, Praise the Lord! You have part of the miracles! 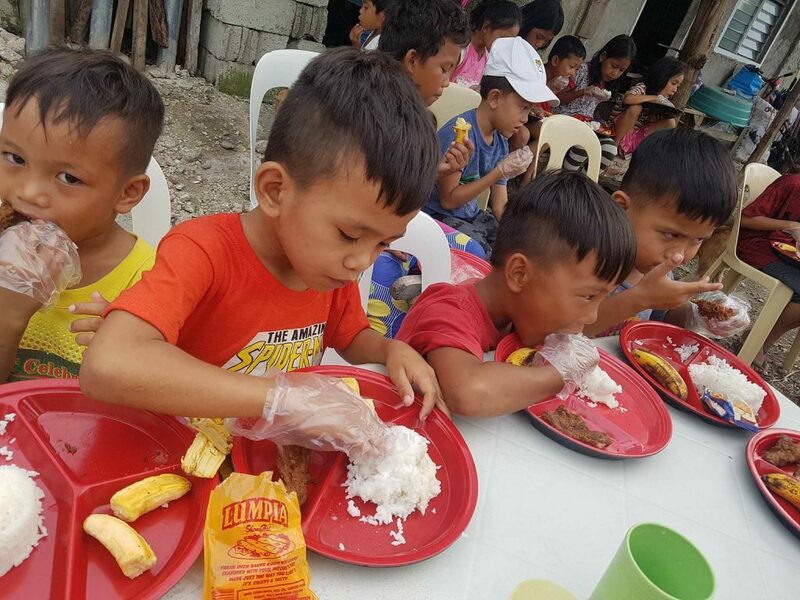 Also, in December, we had no donations given before Christmas, so we combined our monthly giving and held only one feeding combined with a small Christmas Party for the children. We had several folks give just before the new year. Those gifts will be used to feed the malnourished children in January, 2019. Please don’t forget, we have two websites we have to pay for, other expenditures such as yearly tax forms(our 990N) and the like. There are no paid staff for GFOM. We are all volunteers, but there are expenditures and they need to be paid. Total giving to GFOM for year 2018 was only $1310. That is not much money to feed 40-50 children two-times per month, for 12 months. Think about that please. We do an extraordinary job. Besides food, we have to pay for transportation, fuel to cook the food and more! We need every Dollar that we receive. We need help through your giving during 2019 to continue the Lord’s work. Besides financial blessing our work, we are always looking for good folks to donate auto-vehicles such as well operating/running cars, motorcycles, trucks, vans, commercial vehicles and boats to Global Family Outreach Ministry so we can sell them to raise funds for the feeding of the children. If you, or if you know anyone who is willing to donate a good and decent running vehicle to GFOM, please let us know. We will give anyone who donates to GFOM, a tax-deductible receipt. PS, thank you to all who faithfully support GFOM during 2018! We earnestly pray and hope you along with others will continue during 2019 to bless the children/families that we help together. This page generated with 23 queries, in 0.178 seconds.